Sire Rival Z is a full brother of the famous showjumping mare Rinnetou Z (Piet Raymakers). From a small number of services Rival Z produced, amongst others, the international showjumping horses Halifax de la Brique (Emile Hendrix) and Reve Blanc Z (Pieter-Martijn de Bruyn). Dam’s sire Olisco finished seventh in the World Cup Finals under Michael Dorman and is, like the famous sport and breeding stallion Quick Star (Galoubet A), bred out of the mare Stella on which Nelson Pessoa jumped at international level. Grandam Glorita Z is also dam of the stallion Artos Z (Almé Z) on which Mark Leone twice started in the World Cup Finals. 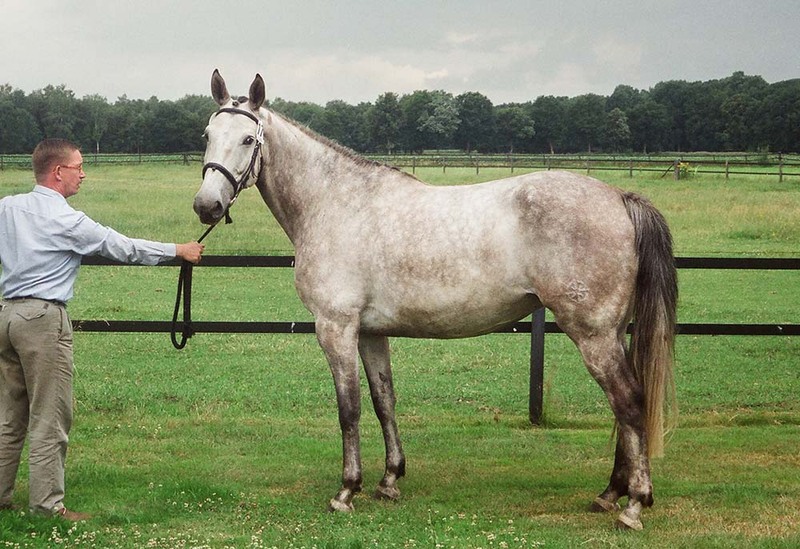 In combination with the great sire Kolibri Rosita produced the AES licensed stallion King Adelheid Z.